So while in Miami this week I stumbled upon a beautiful mural of a woman’s face with flowers in her hair at this hole in the wall café. Forgive me I forgot to take note of the name of the spot but it was a café neatly nestled in between some of the fabric stores downtown. I was in complete awe of the painting and have to say that every time I go to Miami I find some amazing artwork. What do you think? 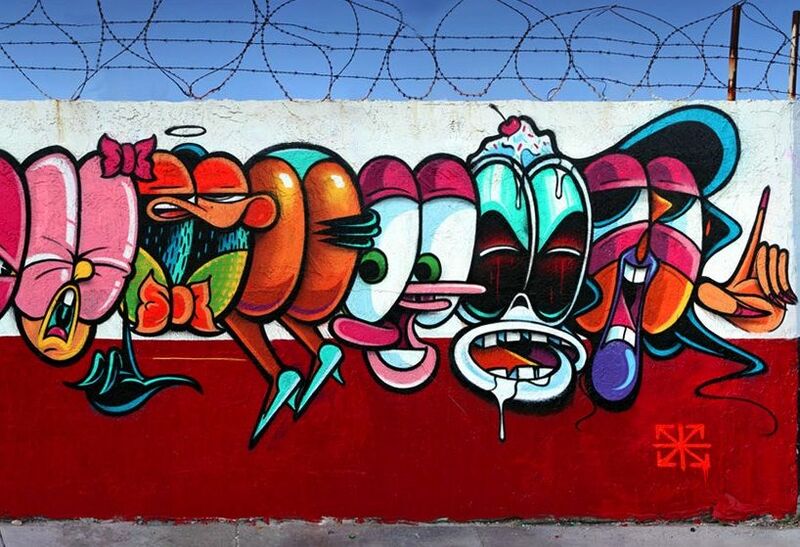 I thought it was particularly interesting that artwork and even graffiti seem to permeate the area. 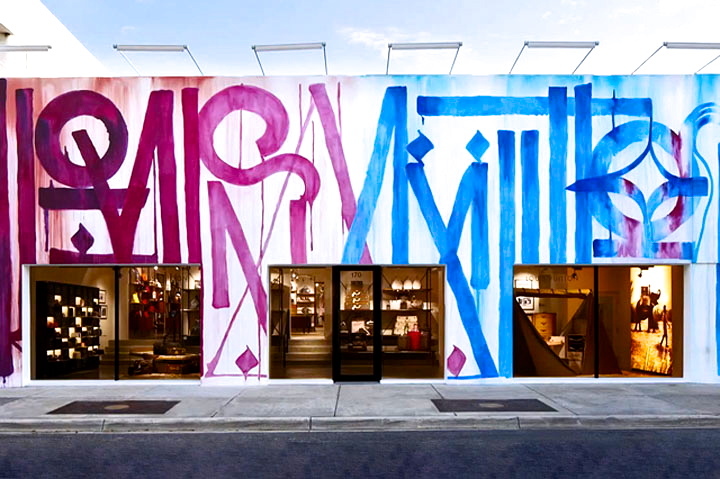 Street artist Retna covered the Louis Vuitton store graffiti-style and the brand has marketed graffiti-covered merchandise as well. Robins states that “when you come here there will be a lot of art, anchored by the Rosa de la Cruz collection and my own collection.” Robins is an avid supporter and collector of the arts. He is Founder and Chairman of the Anaphiel Foundation, member of the Board of Trustees of the Miami Art Museum, and Principal of Art Basel Miami. Over 100 brands are expected to have locations in the District by the end of 2015, and I am very excited to see the area develop. 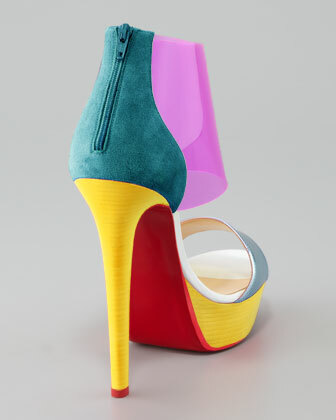 These Christian Louboutin shoes from the Resort Collection would look great in the colorful art deco background of Miami this weekend! They’re also perfect for showing off a good coral pedicure. Pair them with simple white jeans like these J Brand Skinny White Jeans on sale for $112 or this Alexander McQueen ivory cape-back dress below.